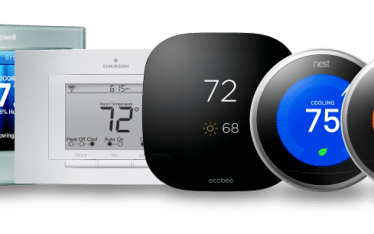 Programmable thermostats allow you to program your desired temperature that suits your lifestyle and schedule. Some models allow you to program your desired temperature for each time of the day of the entire week. Others let you set different preferences for weekdays and weekends, while the more advanced models let you have different temperature settings for each day of the week. 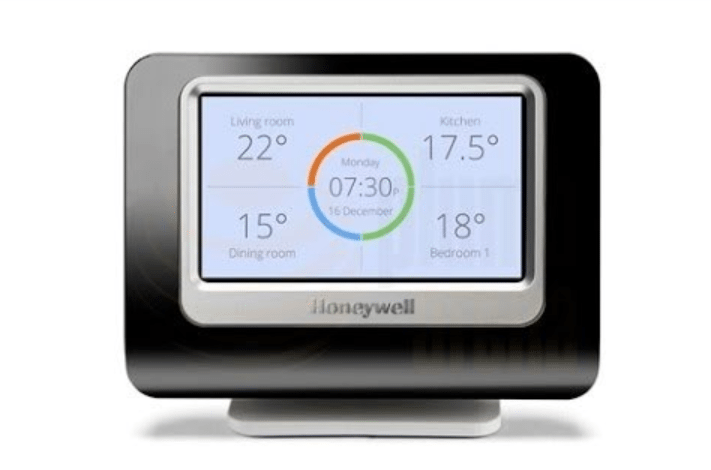 The Honeywell Wi-Fi Smart Thermostat is flexible and easily programmable and has bright and beautiful user interface. Honeywell can program a 7-day schedule down to the hour. The screen displays information about the indoor temperature, relative humidity, outdoor temperature and humidity, and more. The Honeywell Z-Wave Enabled Programmable Thermostat can be configured to meet your preferred scheduling requirement, including a selectable 7-day program and four daily periods. You are allowed to cancel unneeded periods, and have the option to get messages from other Heat, Ventilation and Air Conditioning (HVAC) equipment. It can work without the use of a C-wire, allowing you to install it in almost any place. 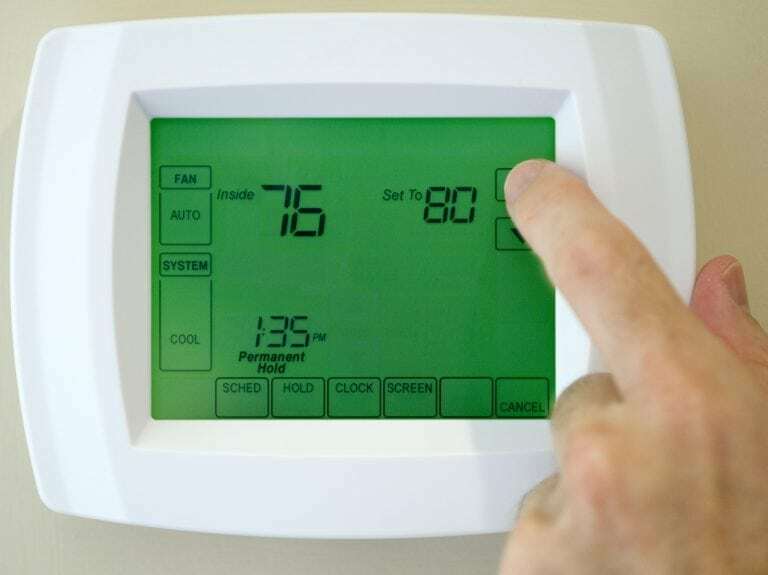 A connected thermostat is one that is connected to the internet and can be controlled through a wifi or internet connection. However, unlike learning thermostat, it doesn’t provide analytic information and doesn’t learn your schedule. Bosch Connected Control BCC100 Thermostat is easy to install and with large color touch screen. You can access this from anywhere through your smart device and a mobile app. However, it doesn’t support any smart home integration system. 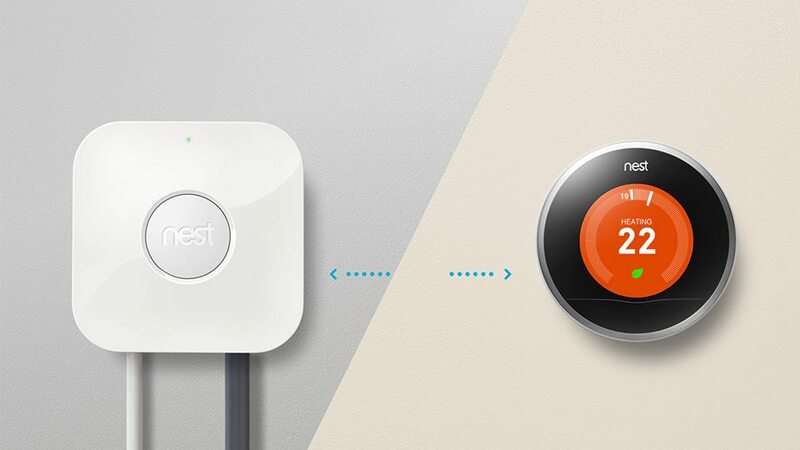 A learning thermostat can learn what temperature you prefer based on your habits and preferences. It can learn when the house is likely to be occupied and when it’s going to be empty. Once a learning thermostat builds a schedule based on your schedule, it can automatically pre-heat or pre-cool the house so the temperature is comfortable comfortable when you arrive. If your lifestyle changes, it will gradually adjust its schedule to fit yours. Because of this, it maintains savings on energy consumption and increases comfort. 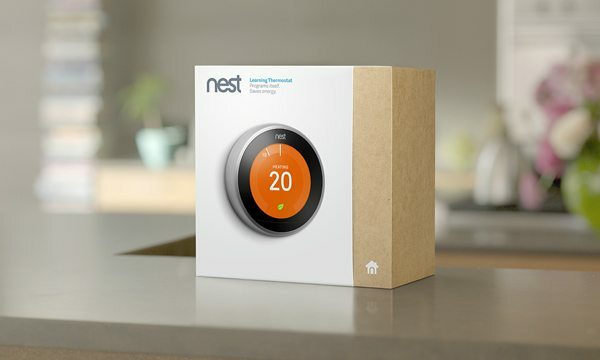 The Nest learning thermostat is relatively easy to install, and it starts learning your habits based on your schedule and the temperatures you set. After a while, it will automatically adjust the temperature itself based on when you get out of bed, when you get home, and based on different seasons. 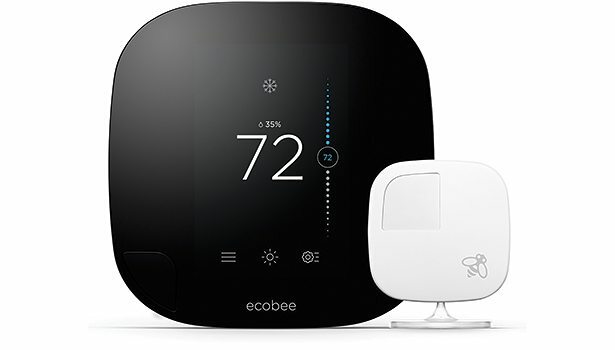 The Ecobee3 is a wifi-enabled, learning thermostat that you can control from anywhere. It uses remote sensors to control the temperature of multiple rooms in your house. It is easy to install and configure, and is supported by Android, iOS, and web browser. Zoned thermostats have the ability to control the temperature of individual rooms rather than just controlling the climate of the whole house. It allows you to save energy by heating or cooling just the room that’s in use, not the entire home. Mysa is a high voltage smart thermostat that provides you access to control your home’s temperature from anywhere using your phone, tablet, computer, or thermostat. It has a dashboard that displays the room’s current temperature. It also has an electric baseboard heaters that takes advantage of your home’s heating zones, giving you the capability to heat the right rooms at the right times. Honeywell Evohome has the ability to divide your home into different smart zones, providing you with the capability to control the heating/cooling of each room individually. This allows you to heat/cool just the room or area that you are using. It incorporates the usual smart thermostat features, such as the ability to be controlled remotely and providing you with a better understanding of your energy usage. A zoned learning thermostat is the most advanced type of smart thermostat available in the market today. This is a combination of a learning thermostat and zoned systems. It has the ability to learn your schedule and when each room of the house is likely to be occupied. With this, it can automatically schedule the heating or cooling for that room based on your usual preference. Heat Genius allows you to heat just the rooms in use. It also records your heating patterns and preferred temperatures, and this allows you to adjust your usage to provide potential energy savings for each room. It gives you the weather forecast for your home so you can plan ahead; it also detects when you open a window or door and turns your heating/cooling off, so you can save energy. 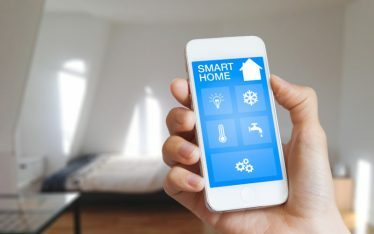 Different types of smart thermostats are either programmable thermostats, which allows you to program your schedule ahead; connected thermostats, which works only when connected to the internet; learning thermostats, which has the ability to learn your behavior and schedule; zoned systems, which allows you to control the temperature of individual rooms; learning zoned systems, which is a combination of both learning and zoned systems. All types of thermostats are remotely controlled using a smart device and mobile app. The SMARTHOMEWORKS are here to help. 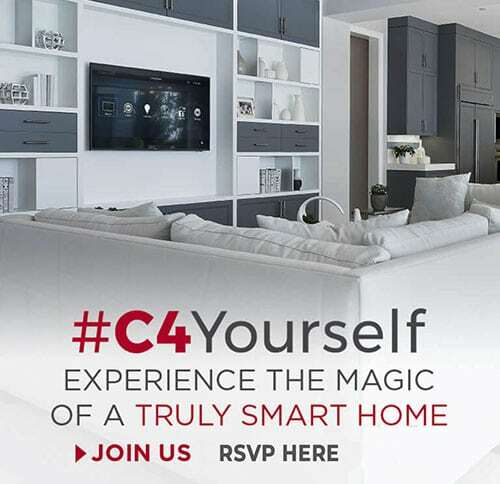 We plan and custom design Smart Homes. Call us on (02) 8197 1122 or contact us here.